﻿﻿﻿Here you will find reproduction knitted and crocheted items made from the original WWI and WWII patterns. I AM CURRENTLY BOOKED UP WITH ORDERS THROUGH Fall 2019. 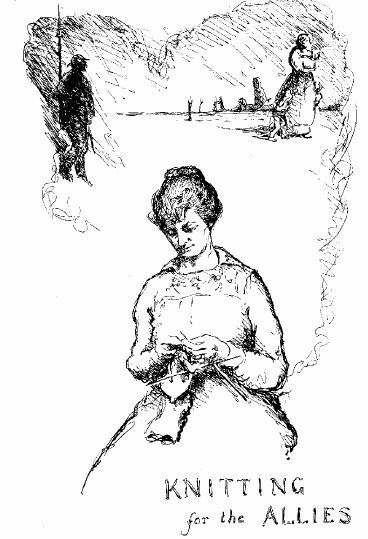 Knitting for the Allies sketch from 1917. Knitting for the Allies poem from 1917.